If I read one more article on packing light and what you shouldn’t take on vacation, I’m going to book a discount flight to the author’s city and challenge him or her to a duel. I’ve had far too many short trips ruined because I (or a travel companion) was trying to travel light. Once we reached our destination, much of our “vacation” was frittered away trying to find, purchase, adapt, and belatedly put to work one or more of the items that one of us had insisted on leaving at home. • Travel medications. There are certain medications people rarely use at home, but which they often use while traveling. These can include items for digestive problems, sinus problems, sunburn, blisters, allergies, etc. 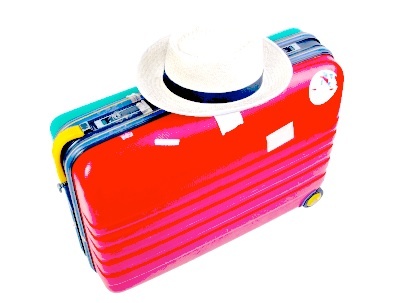 Keep a list of these travel-related items in your suitcase, and pack them. It’s much better than scouring a strange city at 11 p.m. on a Friday night trying to find a particular medication so you can sleep — or paying a ransom for it at a resort hotel. • A spare pair of pants. An exploding ballpoint on the airplane or some greasy barbecue at dinner can spell the end of that great pair of beige pants (or jeans) that you were “going to wear all weekend.” Who wants to spend Saturday in a vacation spot shopping at Macy’s or Eddie Bauer and then hanging out at the dry cleaner waiting for new pants to be hemmed? • A bathing suit. It’s no fun if everyone else is hopping in the hotel pool or hot tub and you are stuck poolside wearing those jeans that were “all you need for the weekend.” Pack a suit. This is particularly important for women; bathing suits can be hard to fit, and it’s no fun to discover that the hotel boutique’s selection is limited to string bikinis. • Extra shoes. Your “comfortable shoes” can suddenly become uncomfortable if you’ve spent all Saturday tromping through museums and hiking in the park. Bring an extra pair of comfortable shoes so you don’t spend the second day of the weekend limping and whining. Even if you’re completely confident that your shoes will remain comfortable, there are other factors to keep in mind: The one pair of shoes that were “all you need for the weekend” may stand out for all the wrong reasons at the wedding reception Sunday after you’ve spent Saturday touring your cousin Rainbow’s goat farm. Ewww! • Chargers for your phone, your computer, and your camera. Why is it that we never remember to pack the chargers that are plugged into the outlets at home? If I remember the camera charger this time, chances are I’ve forgotten the cell phone charger. Do everyone a favor: buy an extra of each, and keep it with your travel bag or travel briefcase. Full disclosure: I love checking my bag and waltzing onto the plane with just a knapsack or tote bag. Yes, I know I’m missing the joys of banging a roll-aboard against every seat on the aisle, throwing out my back hefting the bag into an overhead bin, and nearly crushing someone when the bag is taken down again, but…what can I say? When it comes to travel, I’m one crazy gal. I don’t think anything you said above is inconsistent with packing light. I don only pack one pair of shoes.